Manor Royal is the largest industrial and business area in West Sussex, contributing more than £5 billion to the UK economy each year. 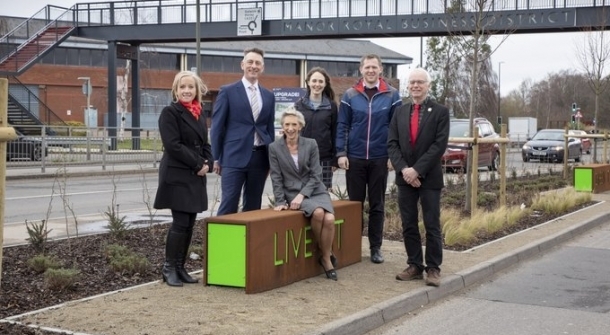 The Manor Royal BID team has long-held aspirations to transform the gateways to Manor Royal Business District and this was further highlighted as a priority by local businesses following consultations. Thanks to the involvement with the Crawley Growth Programme, which is being delivered via a partnership of Coast to Capital Local Enterprise Partnership, West Sussex County Council and Crawley Borough Council, the work has now been completed.